The sea is a symbol of a plane of consciousness. The sea is indicating usually the vital nature, sometimes the expanse of consciousness in movement. The higher consciousness in any of its levels is seen usually as a sky or ether, but when felt through the vital it is often perceived as a sea. The blue ocean is often a symbol of the spiritual consciousness in the higher Mind one and indivisible. The dream is evidently an indication of the difficulty you are experiencing. 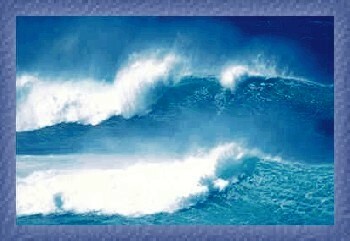 The sea is the sea of the vital nature whose flood is pursuing you (desires are the sea water) on your road of sadhana. Everything which it hankers after is desirable to the vital — but the desire has to be rejected. "I won't desire" is quite the right thing to say, even if "I don't desire" cannot be said by the vital. Still there is something in the being that can even say "I don't desire" and refuse to recognise the vital desire as part of the true being. It is that consciousness which the peace and power bring that has to be recognised as the true "I" and permanent in front. The vital in the physical easily slips back to its old small habits if it gets a chance. It is there that they stick. They go entirely only when that part gets equanimity and a simple natural freedom from all desires.